Vancouver Real Estate Report - Is Now the Time to Buy? 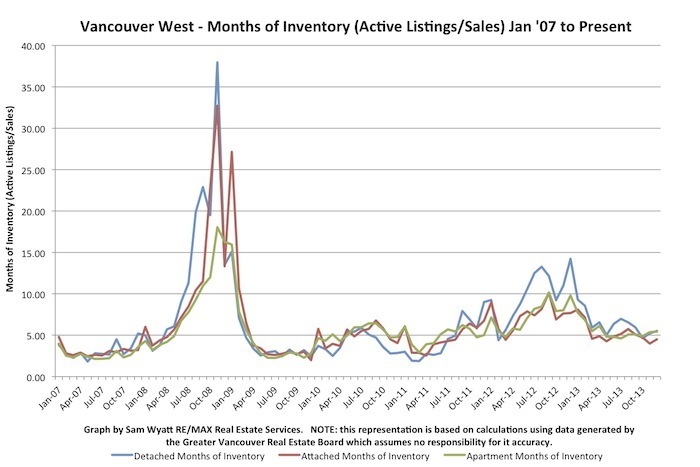 Months of Inventory (MOI) for Vancouver West real estate remained near 5 months for all home types in December. I just sold this House at 2954 W 33rd Avenue, Vancouver, BC MacKenzie Heights. I just sold this Condo at 2238 ALDER Street, Vancouver West, British Columbia Fairview VW.